To my surprise, without an ADR we found that we had to wait quite awhile for a table. Even more surprising was that when we were finally seated, the restaurant was nearly empty at 12:30. I guess the reason for our long wait was something other than there weren’t any open tables. Possibly short on waitstaff or kitchen staff??? It was not a big deal for us though since we had no set plans for the afternoon. 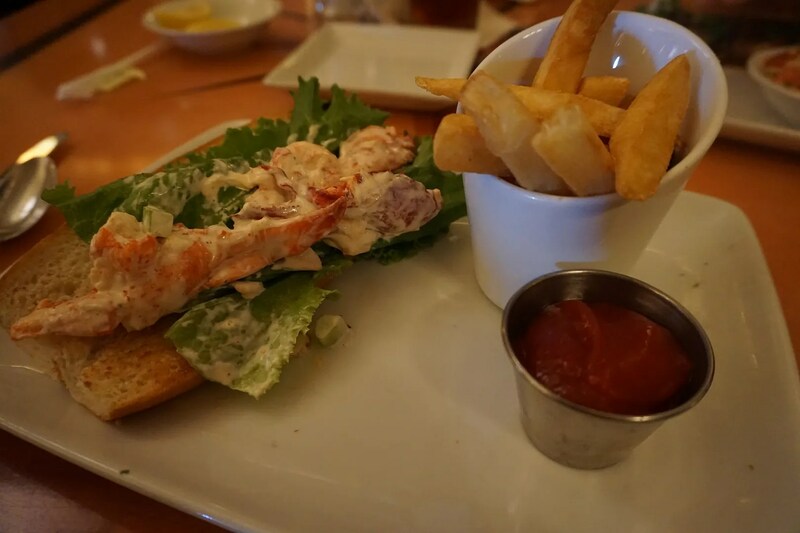 The french fries were fine but I was disappointed with the amount of lobster in my sandwich. 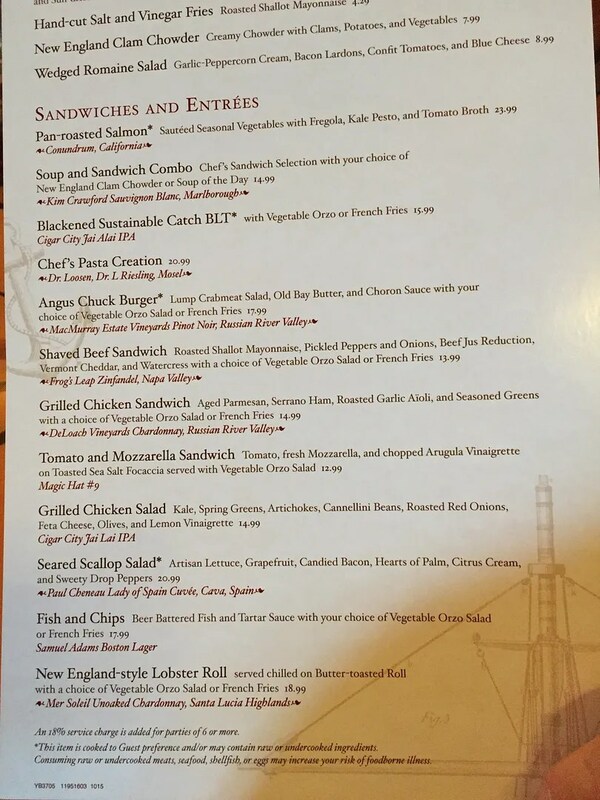 For $18.99 I was expecting a little more than a few small pieces of lobster, a couple of giant lettuce leaves, and a hot dog size bun. 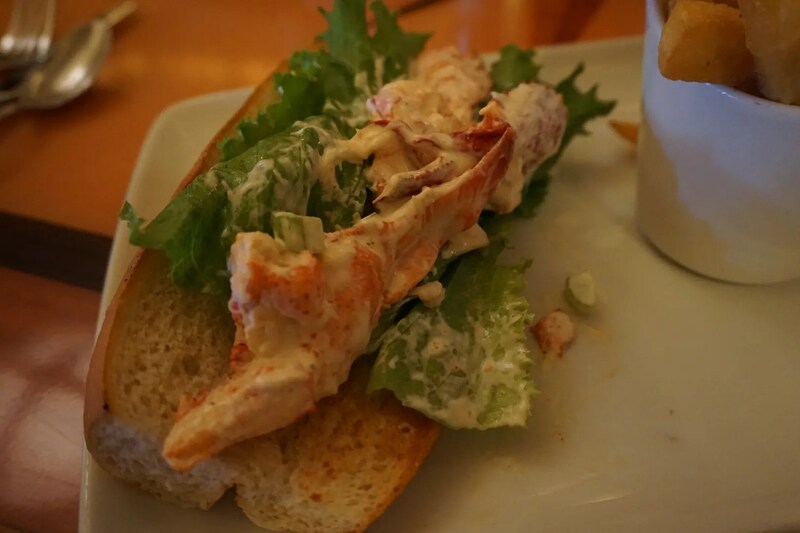 While the lobster itself tasted fine, there just wasn’t enough of it, IMO. This sandwich cost $5.00 less than mine but was much more substantial. 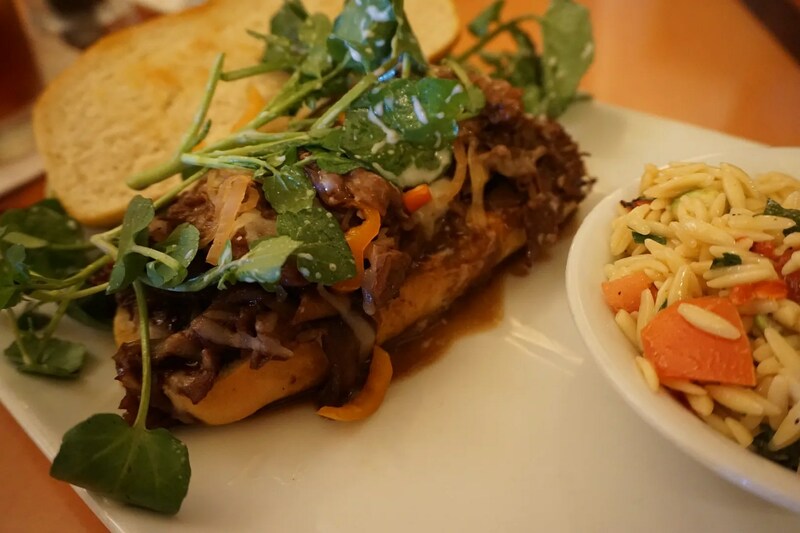 The beef was good quality and flavorful…and there was plenty of it. 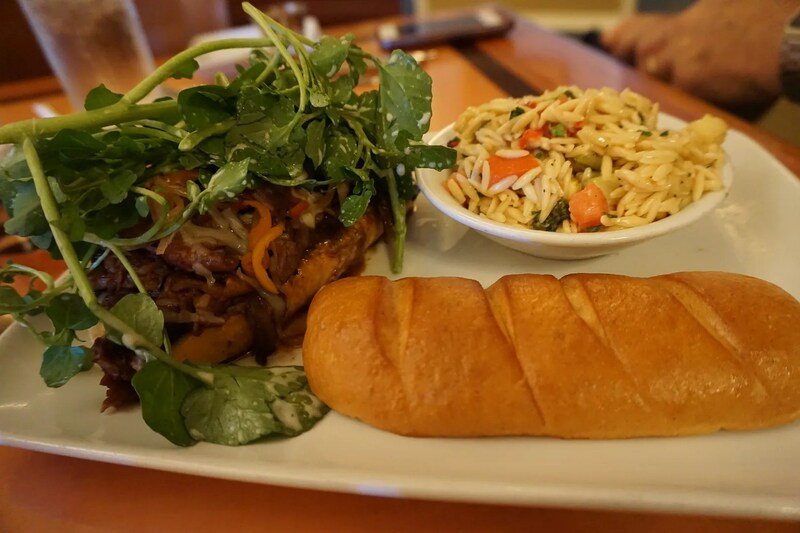 My husband enjoyed both the sandwich and the orzo salad that he chose for his side. We passed on dessert here and even forgot to take a photo of their dessert menu. I had had thoughts of sharing some ice cream at Beaches & Cream next door at the Beach Club, but my DH said he was too full and I couldn’t manage it on my own. 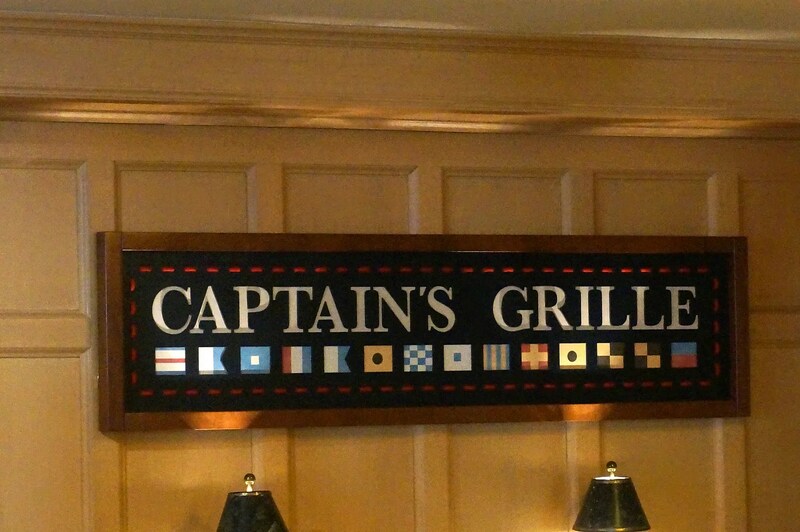 Though I had been to Captain’s Grille four times now for breakfast, this was my first experience with lunch there. 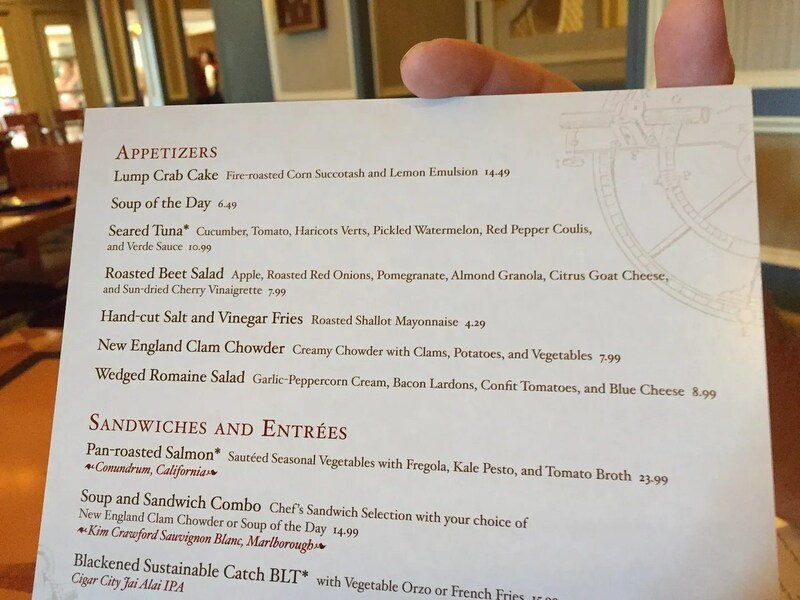 I wouldn’t be opposed to trying it again for lunch sometime, but I’d rather first give dinner a try…and will definitely return there for the breakfast buffet. Want to know what I did next on this trip or just want to share a comment on this review? Click here to go to this trip’s blog post!